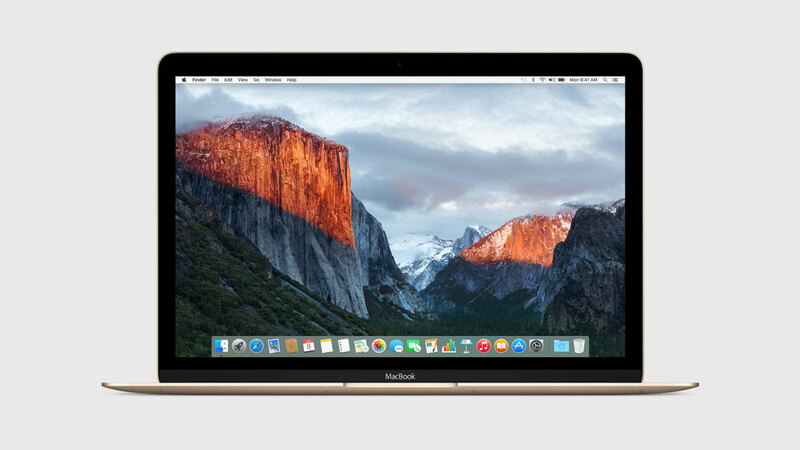 Mac users who choose to dabble in early releases of OS X El Capitan will find that dual booting the release alongside OS X Yosemite or OS X Mavericks is a better solution than simply updating their primary OS X installation. 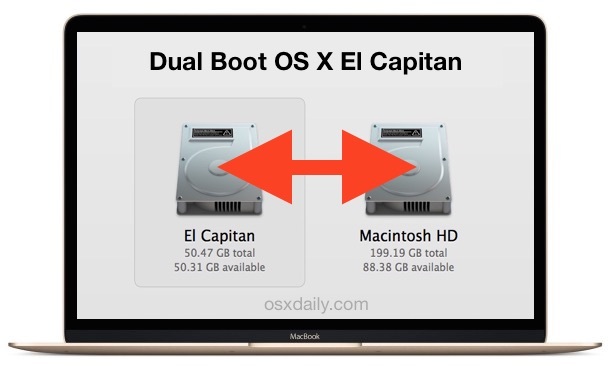 One easy way to do this is to partition the Macs hard drive and install OS X El Capitan onto that new separate partition, this will insure that OS X El Capitan 10.11 remains away from the stable build of OS X 10.10 or 10.9, and allows the user to boot between the Mac OS releases as they see fit. Back up the Mac with Time Machine, do not skip this, partitioning a Mac and installing new operating systems has some degree of risk and you do not want to be in a situation where you incur permanent data loss simply because you did not back up. Thus, complete a back up first. So you backed up and meet all the requirements, you’re ready to go. 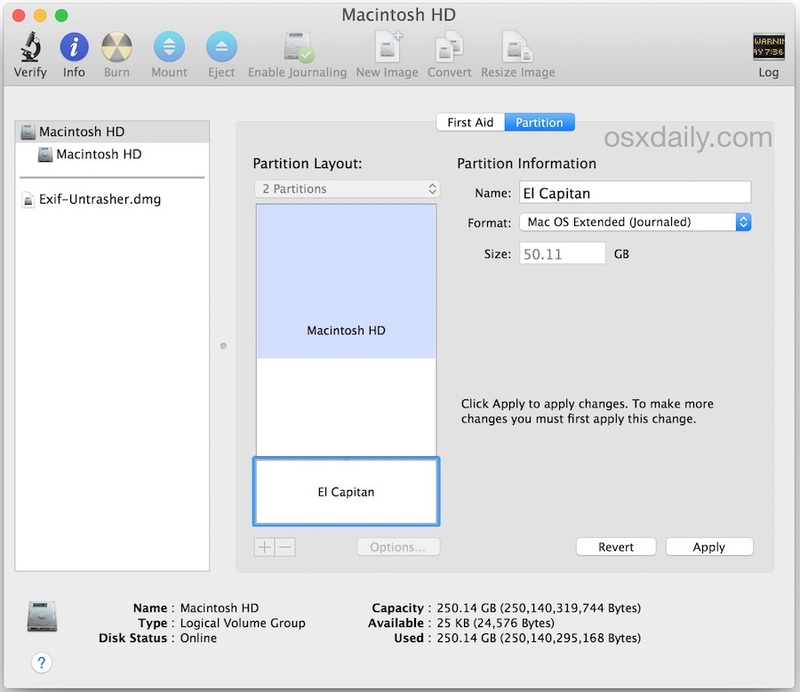 We’ll partition the drive, then install OS X El Capitan onto that new partition. By the way, if you are using a bootable installer drive, you can perform this partitioning process directly from there. Now that OS X El Capitan is running on the alternate partition but the same Mac, you can easily switch between the two startup drives operating systems by rebooting and holding down the OPTION key – this opens the startup manager before OS X loads, allowing you to choose between which version of Mac OS X you wish to run. For example, if you have OS X El Capitan running on the same Mac that is also running OS X Mavericks, or OS X Yosemite (or both), you can easily switch between them by rebooting and selecting the intended boot partition on system restart. This is a great way to safely test out OS X El Capitan without interfering with a more stable release of OS X that is running on the same Mac. 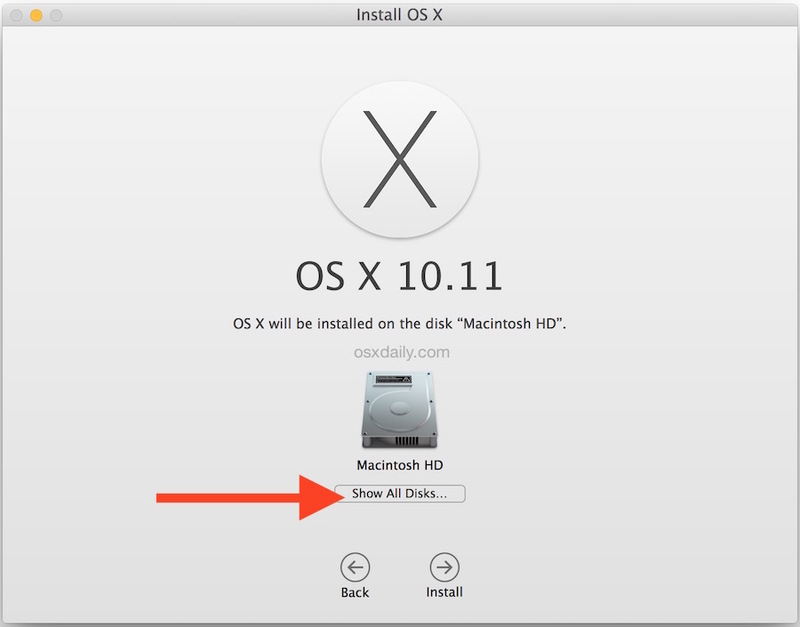 In a much similar manner, you can also install OS X El Capitan onto a completely separate hard drive, or even an external drive, as long as it’s bootable and that you select it within the installer app target. If at any point you wish to delete El Capitan and reclaim the disk space, you can do so back in Disk Utility by removing the El Capitan partition, but just as before, don’t skip the backup process first. This is pretty much critical to do with all early versions of OS X, even though El Capitan is intended to ‘fix’ things, it’s still going to break some stuff. My big complaint with OS X El Capitan is that the already too thin font Helvetica Neue is now replaced with a thinner font San Francisco, WHAT! You have got to me kidding me Apple, give us a BOLD option at leats? So yea, get ready on a second drive. Oh I should say that overall, other than the font problems continuing, OS X EL Capitan is far superior to OS X Yosemite, can’t wait for the public version it will be really good. What about Mail and Safari? Do you suggest aliases or symlinks to bookmarks and the Mail folder? No definitely do not do that, you want to keep all your data separate in the two OSes. Running OS X El Capitan is for testers right now, it is not for primary use. Don’t link your data, use them separately. I really don’t want to screw around with my Mac. I do want to try out El Capitian. Can I create a bootable external drive with the OS on it? Any idea how? You called this ‘one easy way’ in your intro. I would really like to see the difficult method. This is not for everyone, dual booting operating systems is intended for advanced users who are comfortable with the partitioning schemes necessary, as well as the risks and understandings related to running multiple operating systems. This is not for the casual Mac user. But for advanced users, this is pretty much the ‘easy way’ to dual boot. You can’t install an OS via SuperDuper! etc. on an external drive. I’m with you though. I don’t want to mess with my HD and unless we have a Mac Pro and can add another internal drive i think we are out of luck and will have to do the usual wait a year for at least 2 fixes before installing. I use Carbon Copy Cloner (CCC) and have used SuperDuper. It was my understanding that either software was equally capable of making a bootable copy of any OS X on an external drive. You are not misunderstanding — CCC and SuperDuper backups (clones) are bootable. “OldFart76” confused this issue with his response above. See my reply below. “Jack” didn’t ask about using SuperDuper to install a (bootable) OS on an external drive — he merely asked if the latter was possible…which it is. Moreover: El Cap DP will boot surprisingly quick from a cheap bus-powered USB 3.0 enclosure with a recycled laptop drive in it. 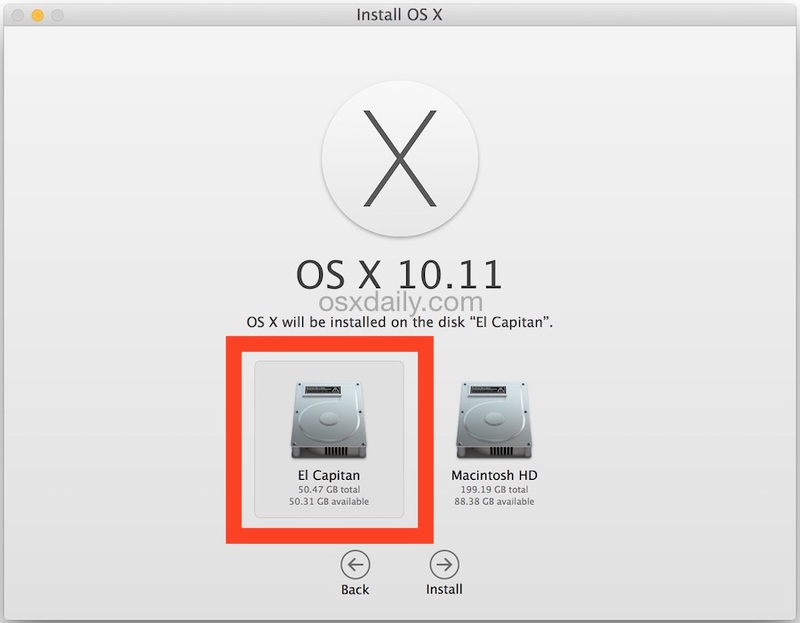 To install OSX El Cap DP on an external drive: make a bootable installer on a flash drive (or another USB enclosure + drive) via the method described in this article (or other methods available), connect the target external drive, boot from the installer, and choose the target drive for the installation. Obviously, this method can be used with FireWire or Thunderbolt drives as well, and any combo of USB / FireWire / Thunderbolt, depending on the peripheral-port configuration of the host machine. Note that SuperDuper can (also) be used to easily create a bootable USB installer from an OSX dmg file: just use the Copy function in SuperDuper to copy the dmg to an external drive. It will be bootable. For the record: I said “…cheap-bass bus-powered…” in my (submitted) reply above. Since when are your censorship standards so Puritanical as to prohibit the word “bass”? Yes you did, and it gets hit by the spam filter. So basically you have two choices: you can curse and use certain language and it won’t pass the spam filter at all, or we can edit out the curse words and it will pass the spam filter. Usually they are dumped directly into the trash, it would be a full time job to moderate spam all day (seriously). Yes if you have a USB 3.0 ultrafast external drive, but it still will not perform as well. Your best bet is to wait until the fall, when OS X El Capitan is in the final version and has been out and tested by average users for a while. Maybe OS X 10.11.1 if you don’t want to “screw around” with your Mac, because if you recall the Yosemite debacle, it did not become usable until the third update to the software. That is my advice to all Mac users, if you want your Mac to work, wait until the first point release at a minimum! Just a word of warning. If you do choose to install El Cap, be aware that if you use the Photos app and choose to use the library on Yosmite, lt will modify your library and you won’t be able to open it with the Photos app on Yosemite, so you will be stuck with El Cap Photos app. If you have a Mac Pro 2012 or earlier can always install onto another Hard drive. Sure you can. Don’t forget that externals drives are not only used for backups, but can also serve as a bootable drive if problems occured with your main drive. That’s the reason why apps like SuperDuper or Carbon Copy Cloner offer options to create a bootable drive. Ahmed’s piece of advise might be useful,… provided the reader understands what he means with Partion, Portion, Specificly, etc. Good intentions bring more benefit to all fellow readers if one uses basic, simple, short sentences. In doubt how to spell, one can quickly find free on line translations. Since English is not my mother language either, I am used to check words I am uncertain, for instance at “leo.org”. Besides I am not convinced that to write “U” instead of “you” might save so much time and effort to make that questionable habit of our modern mail times really worth while. It took many centuries until modern languages reached their present wealthy and subtle power of expression… and in less than 20 years we are (unfortunately) murdering them. I would like to run a dual boot system but don’t want to have two user account folders (and, hence, two documents folders, two iTunes libraries, etc) or two application folders (for third party apps – e.g. Photoshop, Lightroom, etc). I know it is technically possible to set up two smaller partitions (one for each OS) and one larger partition (for apps and data). Will it work though and are there potential issues with this setup? Did you find am answer to your question? I’m trying to figure out if I need to copy applications and user account (from First partition running older OS) onto the new partition before installing El Captain (therefore having them on both partitions)? Would this method work if I have an older OS? 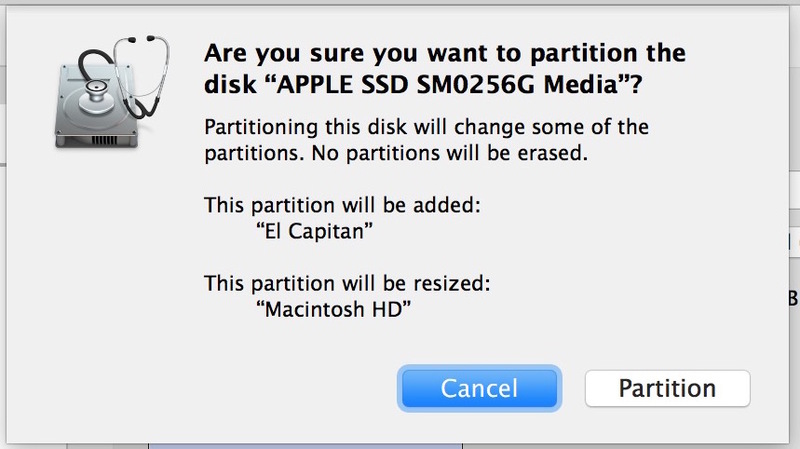 I want to keep my 10.6.8 partition alive alongside El Capitan. Will installing El Capitan on a separate hard drive of my mid 2010 5,1 MacPro harm in any way a Snow Leopard installation sitting on another hard drive? I mean: does installing (or using) El Capitan also update anything like firmware, graphic card driver, etc. which would make SL unusable, or just impossible for me to reboot/use/reinstall Snow Leopard on the other hard drive like I’m doing now? Any answer to TM’s question (which I’m very interested in too)?